Over 450 years of experience gives us unique expertise and know-how. Our ambition is to offer all artists products of the highest quality that inspire and give them confidence. And all our customers recognize us this excellence of quality. Created in 1557 by the Montgolfier family, the evolution and destiny of Canson ® are closely linked to the history of France and the history of art. Anchored in tradition, it respects the inheritance and the requirements to always deliver to the consumer a paper of excellence. Innovation is part of the company's genes. The Montgolfier invent the first hot air balloon in 1782. But they are primarily paper manufacturers. The company, over the centuries, creates many manufacturing processes such as the Dutch stack to shear the cloth, mass coloring to get a paper color even in the heart ... They also innovate with the wove paper and then the tracing paper in 1809. Canson ® obtained in 1865 a patent for a photographic paper which simplifies the printing operations. As early as 1926, Canson ® set up a subsidiary in New York. This is the beginning of a strong internationalization. Canson ® is now present in nearly 150 countries worldwide and world leader in fine art paper. Since 1964 Derivan has been committed to providing the arts community with the world's finest-quality artist acrylic colours and mediums. The founders of the company had a vision "to make available to artists worldwide a premium paint, whilst remaining environmentally and socially responsible". This was to be achieved while still maintaining the quality and personal touch that only a family company can provide. We have succeeded in just that, and Derivan has consequently grown from a tiny affair (operating out of stables in Sydney's inner city) to the multinational operation that it is today. With manufacturing sites spanning 3 continents, we have not lost sight of the fact that at the end of the day, we are here to provide the finest products that can be made, guided by the requirements of our customers. This is our promise to you, the artist, and is realised in our Matisse range of premium acrylics and mediums, all made to the highest standards to ensure not only the most brilliant and pure results, but a safety in the knowledge that your work will not crack, fade, or change over time in any way. In the Derivan range of school products, we produced a world-first in the 1960s - "student grade acrylic" - then successfully introduced completely non-toxic screen inks and block inks where previously inks containing toxic solvents were the only choice. In the 1970s it came to our attention that our children's paint was being used to paint children's faces at fairs and school fetes. Although the paint was non-toxic, it was not formulated for prolonged use on the skin, so Derivan set about formulating another world-first: Face and Body Paint, which has seen increasing sales ever since! Into the 21st century Derivan is as committed to new and exciting innovations as ever. Our Liquid Pencil formula is completely unique, and offers a number of advantages over traditional pencils and inks. Our brand-new Dry Mediums range provides a new and flexible way for artists to experiment with a practically unlimited variety of textural effects. Derivan is an equal opportunities employer. Derivan is constantly involved with and supports both local community and charity, and art promotion projects across Australia and the world. Derivan is at the forefront of employing environmentally sound practices both in the manufacturing of the products and in the products themselves. See also our dedicated Sustainability web page. The name Derivan originated from an early period in our history, in the mid 1960’s, when the company entrusted with registering our initial trademark name returned to us and explained that the originally chosen name was “unavailable” in some countries, in other words a similar name was already registered or in some cases patent laws in place prevented it from being registered. They suggested that it would be prudent to choose a few “derivatives” to give their company some lee-way in the patent registration process. To satisfy the trademark attorneys - the initials of the team in the office at that time were put in a “hat” and from it drew out the letters that would inspire them to come up with a distinctively individual (and registrar-able) name. That name became “Derivan” – a word that meant or had reference to nothing in particular, neither someone’s nor a place’s name; in essence, a unique and without comparison word. A word that would conform with the restrictions of patent laws encountered in the process. A word that would echo the creative nature of that initial vision shared by a group of artists to make available a high grade of paint products, manufactured by artists for artists. The name "Matisse" itself was originally only the project name for a product range in development at the time, which came about because one of the first people to get involved was obsessed with the work of Henri Matisse - the name stuck! For generations, artists have chosen and trusted the Derwent® brand for art materials around the world. With a proud heritage dating back to 1832, Derwent’s innovation comes from a deep understanding of artists. Derwent appreciates that their needs and aspirations may change over their artistic life, and with this in mind has produced a range of art materials that span from the first colouring pencil to the highest professional quality products ­– the majority of which are made in their British manufacturing plant in The Lake District, Cumbria, in the UK. Quality, craftsmanship and innovation are key cornerstones of the Derwent brand. This is achieved by setting stringent quality control in the production of all products across a wide array of art categories. Perfecting the art of pencil manufacturing in the Lake District over generations, Derwent’s wide range of pencils is synonymous with quality and craftsmanship. Artistry is threaded through the core of every Derwent product, delivering world-class artists’ materials at every stage of the creative journey. Derwent is excited to announce that 2017 will see the rollout of the new brand strategy which gives a clear segmentation of the ranges, supporting Derwent’s vision of bringing to market art materials at every stage of the creative journey. Derwent’s new marketing communications will also carry the strapline ‘Drawn to Perfection,’ which captures the essence of the historic brand and its commitment to the creation of innovative high quality art materials. The involvement and collaboration of artists is fundamental to Derwent, featuring work from international artists on its full range of products, as well as representing consumers’ opinions in focus groups thereby reaffirming their long-standing commitment to the art and hobbyist community. Recently, a new selection of Artists pencils was launched, as a result of numerous requests from artists who needed a range of white and black pencils which could offer a spectrum of hues and tones. In summary, Derwent seeks to give consumers, above all else, a highly personalized experience which meets their individual artistic requirements. Elmer's is a company rich in history and tradition. Headquartered in Columbus, Ohio, Elmer's, the company that invented school glue, has been producing the most well-known line of consumer glue and adhesives for over six decades. The company was originally part of the Borden® Company, which introduced the first consumer white glue in 1947. 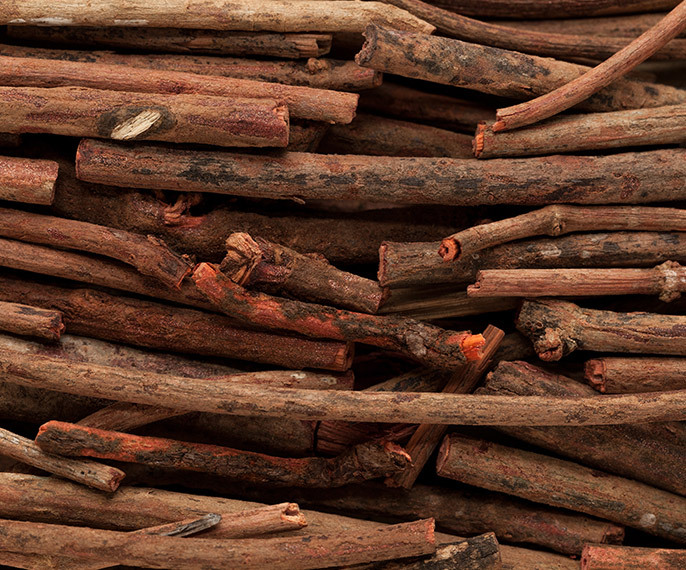 Under the trade name "Cascorez Glue," the glue was packaged in glass bottles with "ice cream pop" type wooden sticks attached with a rubber band. Shortly thereafter, the glue was repositioned under the name "Elmer's Glue-All" after Elmer, the spouse of Borden's famed corporate symbol, Elsie the cow. Fabriano works to create paper and paper-made objects of an excellent quality, as regards the environment and its centuries-old historical tradition. We work with passion, skill and style built over time, and we choose materials and workmanship that are exclusively Italian. All the forests that provide the wood-pulp for our paper are controlled and properly managed to ensure the new growth of the trees, and our production processes respect the current environmental norms, often exceeding them in rigour when we work with paper certified ECOLABEL. Fabriano Boutique and its group are concerned about nature and environment. Many, in fact, efforts to develop more facilities and structures in order to reduce the risks and impacts on the environment and to ensure high safety at the workplace. The basic principle of environmental policy Fabriano Boutique is to make efficient use of resources and to be friendly with th environmentally natural starting from the water and the forests. In addition, Fabriano Boutique, requires its suppliers the same attention to the environment, and especially by those who supplied the fibrous raw materials from wood to forestry origin. At Gamblin, our mission is to lead oil painting and printmaking into the future. To us this means crafting materials as they ought to be, not just as they have been. Our luscious colors and contemporary mediums are true to historic working properties, yet safer and more permanent. Gamsol has freed a generation of artists from exposure to strong solvents. In collaboration with the National Gallery we brought painters Gamvar, the perfect picture varnish. With our FastMatte colors, artists can take their paintings further, faster than ever before. I have always wanted to give artists color at its maximum with a luscious texture. 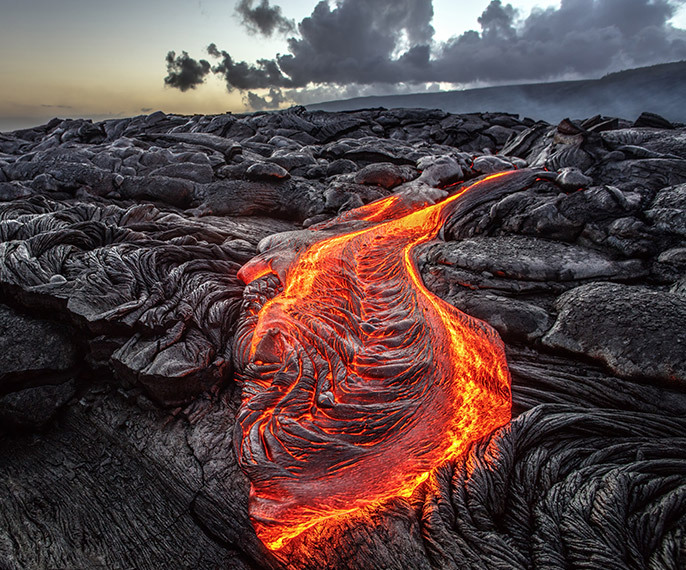 A texture that readily responds to an artist’s intention and handles beautifully. A color reaches its maximum when the pigment has been developed to the highest emotional resonance for that color. There is so much more to our work than fine raw materials and high pigment loads. At Gamblin, we are forging together the right balance of pigment, oil, history, science and emotion. All twenty of us are dedicated to getting that balance right. Every color. Every batch. Every time. We also believe in giving artists more and asking for less. Artists deserve to be able to use color freely, without hesitation or reservation. And to get in the flow of their painting, unencumbered by expectations or doubt. This is the other half of our work, helping artists select and master the materials best suited to their artistic intentions. We are the first colorhouse to build and organize our palette entirely around the needs of today’s painters. Since our founding in 1980, we have been guided by our community of artists, our own studio work and insights from our work and dialogue with museums around the world. Our Conservation Colors have been used to restore works by Van Eyck, Da Vinci and Van Gogh. But foremost, we are here to serve today’s painters. We are honored to be your colorhouse and we look forward to working with you. In 1985, the addition of a factory to the original cow barn gave the company 6,200 square feet of space. As the building grew, so did product lines. The original Heavy Body and Iridescent Acrylics grew to include Fluid, Matte and Interference Acrylics. As the GOLDEN brand gained respect in the artist community, more and more retail stores began to sell GOLDEN product. To meet the growing demand another addition to the corporate headquarters was completed in 1990. The 13,000 square foot expansion added office, production and inventory space as well as a gallery. In July 1990, Golden Artist Colors celebrated its tenth anniversary and Sam Golden's 50th anniversary of paint making. The company received many local and national awards including the 1991 Business Arts Award by the Chenango County Chamber of Commerce and the Council of the Arts. Mark Golden received the 1996 Small Business Person of the Year from the US Small Business Administration, Golden Artist Colors was featured on the NBC Nightly News as a successful small business. In 1998 Mark Golden was selected by Fortune Magazine to appear in a video series on small business. GOLDEN added 31,000 square feet to the facility in 1997 and took down the "old barn". But the surge in growth, sales and employees that year was eclipsed by sadness when Sam Golden died at age 82, on March 11, 1997. Sam left behind a legacy of participation in the creative process of artists and their materials. Golden Artist Colors, Inc. became an employee owned company in 2002 and in 2010, employees became the majority owners of the company. And despite worldwide distribution, GOLDEN product is still created on the grounds of the original barn in New Berlin using the highest standards for consistency and quality. In 2008 Golden Artist Colors launched OPEN Acrylics, a new line of colors and mediums with exceptionally slow drying characteristics to allow artists to blend and rework acrylic paint in ways only possible previously with oils. OPEN introduces a completely new opportunity for artists and represents the kind of product innovation and commitment to artists that Sam imparted on the company that bears his name. Golden Artist Colors assumes responsibility for realizing Carl Plansky's dream for truly unique oil paints and mediums that reflect not only the traditions of painting in Europe and North America, but the artist's passion that drives them forward. Carl himself claimed that only Golden Artist Colors could make oil paints with the integrity and style he envisioned and today Williamsburg Handmade Oil Colors offers the largest palette of oil colors available. Today GOLDEN maintains a culture of individual excellence and community involvement. GOLDEN has sponsored "Paint Day," to provide the people who make paint the experience of painting, and "Kids Day" when kids come and see where their parents work and get to use the product. The "Seconds Program" offers paint that does not meet GOLDEN standards and offers it at little or no cost to employees, local artists and nonprofit organizations. GOLDEN constantly strives to outdo itself by operating on three principles: 1) Make the best products, 2) Provide customers with the best service, and 3) Find people who can make the first two happen. These principles are the essence of Sam Golden's commitment to artists and their tools and they are how we hope to grow a sustainable company dedicated to creating and sharing the most imaginative and innovative tools of color, line and texture for inspiring those who turn their vision into reality. Jack Richeson & Co., Inc. got its start on the third floor of an 1890s Victorian house in the Historic Old Third Ward of Appleton, Wisconsin. "My wife let me utilize the living room, one bedroom and part of the kitchen to handle the inventory. When my son Darren graduated from college with his degree in finance, instead of following what could have been a brilliant career in 'Big Business', he chose to give it all up to take care of 'ole Dad. My daughter, Kelly, joined the family in the accounting department and my son, Shawn, came to take over the beginnings of manufacturing and the warehouse after we moved the operation to our current building in Kimberly, Wisconsin. Soon after, my oldest daughter, Colleen, joined to handle sales and marketing and my son Michael came aboard with critical programming and IT skills. Shawn's wife, Kelly, had been involved in key positions in the company and now heads up our paint manufacturing department. Colleen's daughter, Jackie, also decided to join the family business in 1995, and after short stints in shipping, receiving and customer service, has landed herself in the role of safety and compliance manager." In November of 2004, we broke ground on a 25,000 square foot addition to our building, allowing us to make room for the Jack Richeson School of Art and Gallery. Our family has a collection of over two hundred paintings that are on display as part of a permanent, not-for-sale, collection. Then, one third of the gallery is reserved for well-known contemporary painters to exhibit their work. The last and most important third is for new and unknown painters. We want them to get exposure. In the middle of the building is our classroom. We are proud to utilize local teachers to teach every variety of art. Every few months, we bring in a nationally known painter for a special workshop. We open the Art School for local painters to come in and paint, chat and talk about their work. We also offer the space to be used for meetings and business receptions. And this is only the beginning! 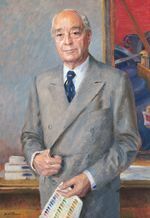 Shortly after Kester brought his idea to market, DuPont introduced Nylon. Kester was so impressed with this development that he dropped the first “n” from nylon, added the first and last letters of his own last name, and the Krylon moniker was born! At first, sales of Krylon aerosol clear coatings were limited to the art and advertising trades until color was added to the coatings in the early 1950s and sales grew quickly with endless boundaries. Today, Krylon is known as an industry leader in product innovation, package design, project inspiration and color. Our range of products expands beyond the home and into your backyard with multi-purpose, plastic, specialty, rust preventative, brush-on and craft products. To date, Krylon continues to be an industry leader providing high-quality products, innovation, and inspiration through color, packaging design and project ideas. Attached to a tradition of French savoir-faire, the history of Lefranc Bourgeois is based on values ​​handed down from generation to generation. It is based on fundamental pillars: listening to artists, a passion for color, and a desire to always push back the scientific and industrial limits of its manufacture to make painting universal and allow each enthusiast to practice his art. The story of Lefranc Bourgeois takes root in 1720, when by accident, Charles Laclef, the ancestor of the family Lefranc, is initiated to the production of colors. He becomes the supplier of the painter Chardin who lives above the family store. Passed from father to son for nearly 300 years, the passion of the Lefranc family has marked the history of art. It took nearly three centuries for it to be written here, under the eyes of the Lefranc family, by the hands of a thousand artists. It persists with each stroke of the brush at the crossroads of passion and science. 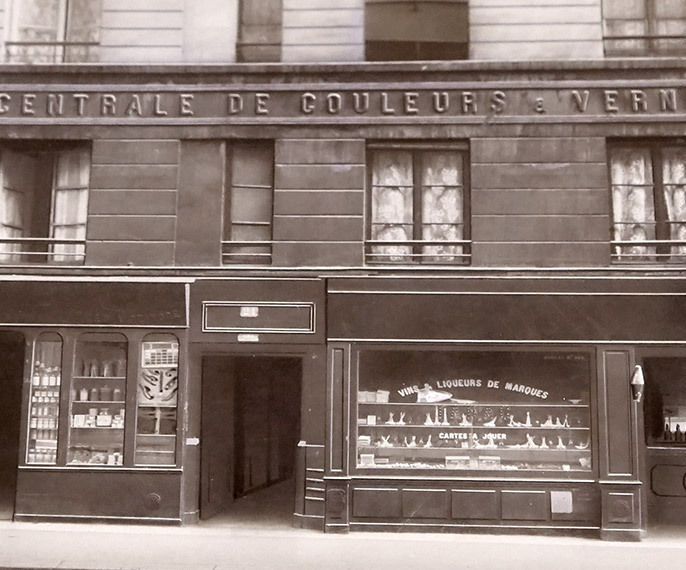 It is near the banks of the Seine that the story of Lefranc Bourgeois begins, when Charles Laclef, the apothecary ancestor of the Lefranc family, meets Jean Simeon Chardin. On the shelves, the pigments, like a food of the soul, rub shoulders with spices. The passion of one feeds that of the other, with the prism of an ever more ambitious standard of quality. From Saint-Germain to Montreuil, Grenelle, or Issy-Les-Moulineaux, this French know-how has been passed on for generations in the Lefranc and Bourgeois families. Even today, each painting is created with the same care, in the workshops of Le Mans, on which rests the benevolent eyes of Marcel Lehmann Lefranc. 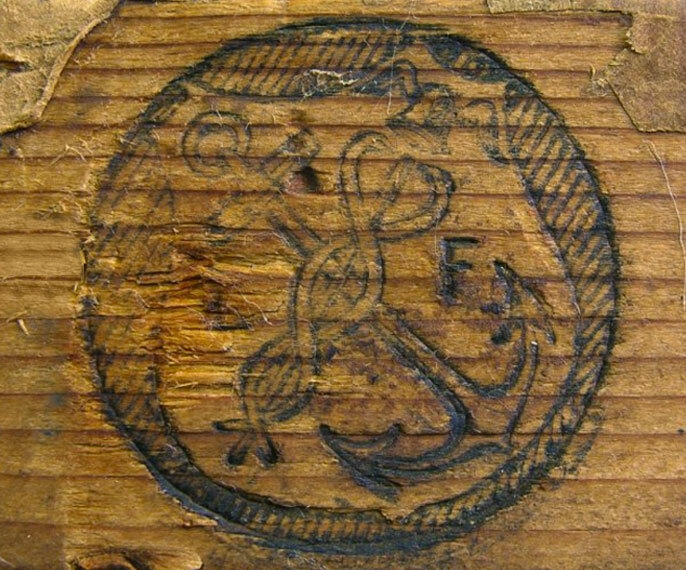 Then traders of paintings for boats installed in the haven, the family Lefranc decides to renew its logo. The anchor naturally becomes one of the pillars. Attribute of the God Hermes, the caduceus that makes up the other facet of the logo, symbolizes peace, commerce, and eloquence. A heritage today proudly claimed by the brand. 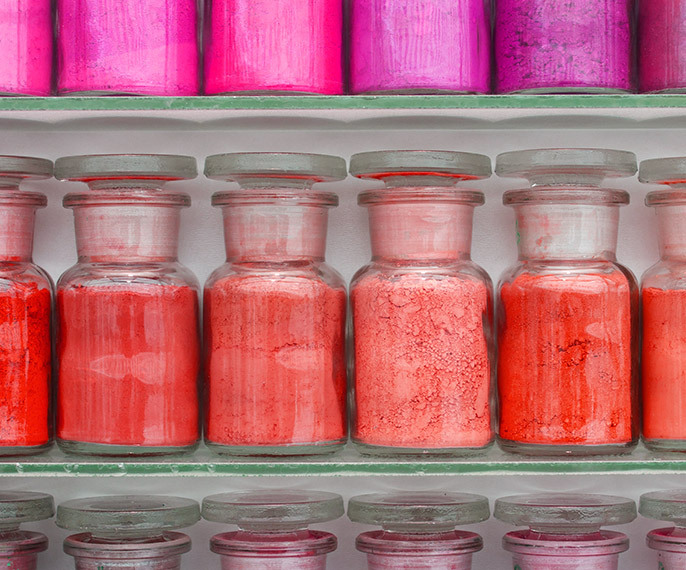 There is more behind a color than a simple pigment. There are stories. That of a tube that allowed him to get some fresh air. That of a mixture that created the movement. That of an accident that caused the break. By their stories, all Lefranc Bourgeois colors are singular. That's why they are so coveted. The first Acrylic Gloss and Matte Mediums. The first lecture demonstration program in 1965, which continues today as The Fine Art Collective. The first removable acrylic varnish in 1967, which has evolved into today’s Soluvar Removable Varnish. The first paint to be labeled for ASTM standards, toxicity, quality and lightfastness. The first value series acrylic paint available in the U.S.: Liquitex® Basics Acrylic Colors. The first to manufacture "Hue" colors: offering alternatives to heavy metal and fugitive colors. The first artist acrylic available in archival tubes: seven layers of plastic, paper and metal. The first to create iridescent acrylic paint; acrylic enamels and a variety of innovative acrylic mediums including acrylic opaque extender mediums – Ultra Matte Fluid and Gel Mediums; among many others. Today, Liquitex offers the largest array of vibrant acrylic paints, mediums and tools to enable acrylic artists to continually explore their art and take it to new and unprecedented boundaries. With our innovative drive, our creative passion and our intense desire to share the joys of artistic expression through unparalleled education and community outreach programs, Liquitex is and will continue to be a strong partner to help artists explore their art for decades to come. In 1955, a company in Cincinnati, Ohio named Permanent Pigments that had been milling oil colors since 1933 and run by a man named Henry Levison launched a new product. This new artists’ color was formulated with an acrylic polymer resin that was emulsified with water. The new color could go from thick to thin and everywhere in between; it would adhere to anything – from canvas to paper to metal to wood to plastic– and it dried quickly for easy re-working, layering, and masking. Most important, it could be thinned and cleaned up with water.Levison tried to come up with a name that captured the essence of the medium and the fact that it could go from fluid liquidity to heavy texture and everyplace else in between. The color was called liquid texture or Liquitex . FROM F.LLI MAIMERI TO F.LLI MAIMERI S.A.
1923 saw the birth of one of the very first factories in Italy to manufacture artists' paints and varnishes: Fratelli Maimeri. The company was founded on the combination of artistic interest and techniques of the painter, Gianni Maimeri (1884 - 1951) and his brother's chemical knowledge (Carlo Maimeri, 1886 - 1957). The project to set up an artists' paints factory and the preliminary agreements came about at the same time the original site was chosen. 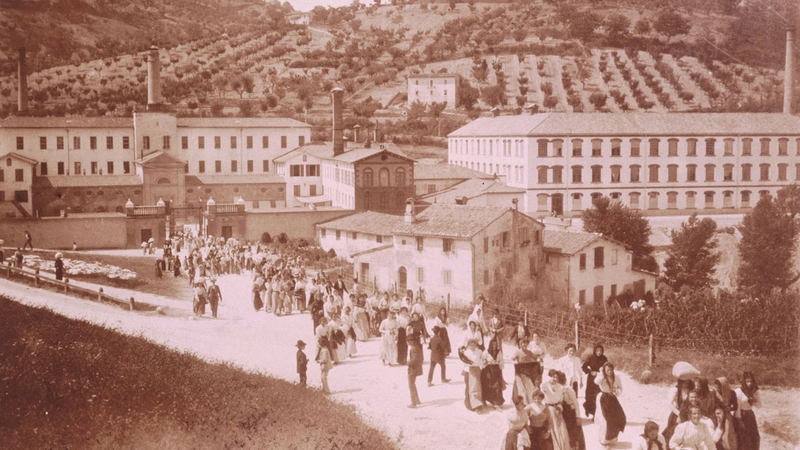 Thus the first experimental productions were carried out at the historical factory, (what was once the Mulino Blondel), in Barona on the outskirts of Milan. Later, on 27 January 1925, F.lli Maimeri S.A. was created in collaboration with Giovanni Ticozzi and Baron Silvio a Prato. FROM F.LLI MAIMERI S.A. TO F.LLI MAIMERI & C.
Production, thanks to excellent use of the newly emerging advertising strategies, soon became stable and regular. The first series of oil colours, the A SERIES was put on the market. The label already displayed the Maimeri tetrahedron, the factory's trademark which has remained almost unchanged since its conception, devised and drawn by Gianni Maimeri himself. The sudden growth of the company and the 1929 crisis, brought with them a series of financial problems for the two brothers who, having wound up the previous company, continued production under the trademark F.lli Maimeri & C. (1929) in collaboration with their new partner, Sante Faccini. In brief, within the space of about ten years, F.lli Maimer was producing and distributing throughout the country five different series of oil, tempera and water colours, as well as powder pigments for artists, a series of around 25 auxiliary products (varnishes, oils, essences, mediums and thinners), boxes of paints, palettes and numerous other accessories. 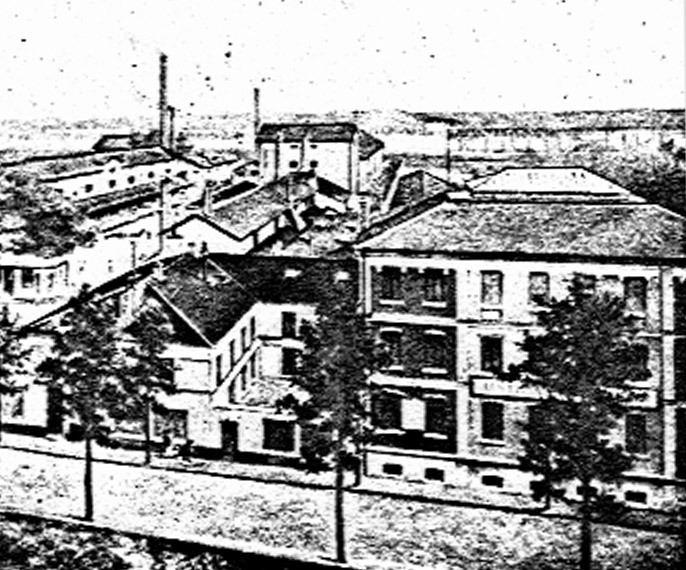 Immediately after the years of the depression, thanks also to the protectionist regime, the Italian chemical industry flourished, as did the new Maimeri company, In 1936, the company had to leave the old Blondel Mill factory, which had become too small, to move into Via Ettore Ponti, along the Carlesca irrigation channel. The factory did not stop production when the war broke out, if anything the lack of any strong competition led to an increase in sales. What's more, production did not have to stop in the event of power shortages as the factory could use the energy produced by its own mill wheel. Another (and final) industrial undertaking of Gianni Maimeri, was the formulation of MAIMERI TEMPERA GRASSA, a reconstruction of the old-fashioned egg tempera used by the Great Masters only this time made with synthetic ingredients. The death of its founder meant another significant change in the shareholding structure of the company. The young Leone was joined by Mario Agostoni, a first-class chemist and invaluable help. During the 1950s, Leone Maimeri succeeded in expanding industrial production to the graphic design and advertising sector, to decorations and hobby work which were rising sharply in Italy. Consequently, between the 1960s and '70s new lines for specific artistic techniques were created, including new water-based emulsions of synthetic resins, in other words acrylic paints. The increase in demand and the new pace in production meant that the company had to look for more space. 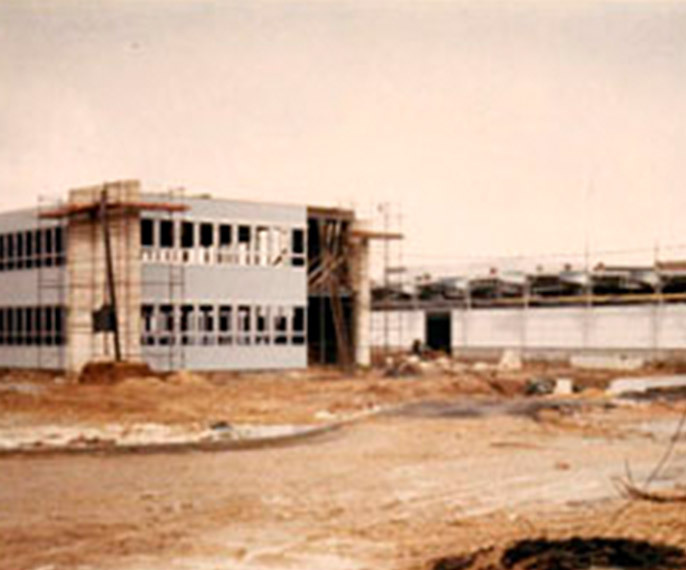 And so the new plant was built in 1969 on a piece of land in Bettolino, in the Municipality of Mediglia. The 1980s saw the young Amatore Marchesi join the company ranks (in 1979 to be more precise). He was destined to become the formulator involved in many technical successes and is now responsible for the laboratory and production. At the same time, the original trademark appeared inadequate for the tastes of the times and Leone, with the help of avant-garde graphic designed Pagliani, decided to tackle the delicate issue of restyling. His indications were however set in stone, the concept of the tetrahedron conceived by the company's founder had to remain intact. In 1984 F.lli Maimeri became a limited responsibility company and, in the 1990s, progressively introduced Gianni Maimeri Jr, grandson of the company founder and currently company CEO, to work alongside Leone who at that time was Sole Administrator. During these years, Gianni Maimeri Jr, undertook to increase and spread the Maimeri trademark around the world in an ambitious challenge which was based on Maimeri's winning factors such as: product quality, company experience, Made In Italy, family tradition and the company's history. In 1996 Gianni also began to promote the establishment of the Fondazione Maimeri, with the intention of making the company founder more widely-known, encouraging studies in the scientific sphere on the history of colour and the company, as well as promoting the activity of young artists and culture in general. On March 31, 2014 Maimeri Spa joins FILA Fabbrica Italiana Lapis ed Affini to give birth to a common project for the development of a group leader in products dedicated to artistic creativity with an offer that meets the demands from children up to the professional level. Industria Maimeri SpA is born with the aim of pursuing those values that have determined the success and prestige of the Maimeri brand in the world and in line with its historical vocation and characteristics of the Fine Arts sector. Being a partner of a successful international player as FILA is an extraordinary growth opportunity for our company and for the development of the Maimeri brand in the key global markets. WHERE IN COLOUR YOU CAN AND MUST PLACE MAXIMUM FAITH FOR THE FUTURE. MARIE’S ART FACTORY established in 1919 was later known as SHANGHAI ARTIST COLOUR FACTORY in 1958. This company formed a joint venture with an existing and reputable Hong Kong establishment to form SHANGHAI SIIC MARIE PAINTING MATERIALS CO., LTD. Together we are the oldest and largest manufacturer of all kinds of artist colour and related materials. Marie’s products have reached the market of different cities around China and more than 60 countries around the world, which meet the quality control system certificate of ISO9001:2000. Marie’s logo is a famous brand throughout China, authenticated by the State Administration for Industry and Commerce and is also one of Shanghai’s first batch of well-known brands. In the field of Fine Art, Marie’s paint is the symbol of China’s paint. Our sales and turnover have become one of the biggest among the factories of paints in China and it is now Marie’s turn to be recognized as a famous brand by the European and US markets. In recent years, we have introduced high-tech testing instruments from the US, Germany and Italy costing tens of millions of dollars. Moreover, we have introduced highly skilled engineers from around the world and developed professional artist paints and colours, which we are proud to say are used by the most prestigious artists around the world. In addition to the in-house manufacturing of quality materials and alongside our sister company, Martin Universal Design, we have established many global partnerships that support our vision of bringing ingenuity to the marketplace. One of our most inventive and creative partners is Minjin Seo, Korean artist and CEO of Mijello™, who has designed and patented more unique and innovative palettes than anyone else on Earth. Beginning with leak-proof and airtight Fusion watercolor palettes, she later explored the usefulness of silver nanoparticles in prohibiting bacterial growth, eventually introducing the revolutionary Silver Nano Watercolor Palette. 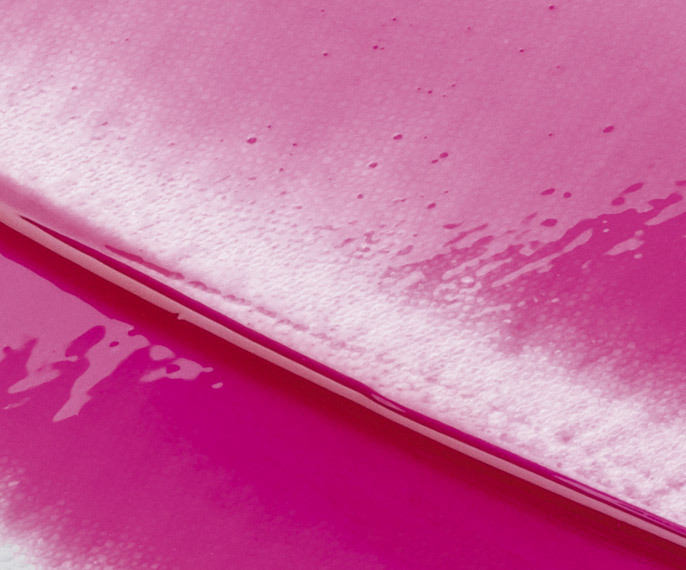 Mijello™ then developed the ground-breaking Peel-Off palettes, which boast a unique, non-porous surface that quickly and cleanly releases dried paints without the need for scraping. Ms. Seo’s unparalleled inventions then grew to include the most useful and successful product of its kind, the multi-use Artist Water Bucket. When Mijello™ introduced Mission Gold Watercolors to the Korean and U.S. markets in 2012, Martin F. Weber Co. and Martin Universal Design were very proud to become exclusive distributors for the entire Mijello™ product line in North America. Mission Gold Watercolors perform beyond expectations! These handmade, richly pigmented colors are combined with a special dispersant and aged in Korean pots to achieve maximum brilliance without artificial thickening agents. This aggregate of elements gives superior brilliance, coverage and consistency of flow to Mission Gold Watercolors over any other watercolor available on the market today. Phoenix Arts Group was established in 1995. As an export-oriented private enterprise, it mainly manufactures high-quality canvases, stretched canvases and other professional painting materials, as well as managing art business. The company has four production bases of painting materials in Wuxi (China), Shuyang (China), Vietnam and Cambodia. It consists of nine subsidiaries, with a total area of 200,000 square meters and more than 2,000 employees. An international enterprise having risen from China. Brand RootsThe Eagle Pencil Company was founded by Daniel Berolzheimer in New York City. The Eagle Pencil Co. establishes itself as a reknown manufacturer of graphite pencils and various writing accessories. 1938Eagle Pencil Company launches Eagle Prismacolor Colored Pencils. These colored pencils include what are today known as Premier Soft Core and Premier Verithin Colored Pencils. 1969 Becoming BerolIn 1969, Berol Ltd. Purchases Eagle Pencil Co. Eagle Prismacolor Colored Pencils are renamed Berol Prismacolor Colored Pencils. For the next several years, Prismacolor extends into more dry media categories, such as graphite. 1984 Mark it up!Berol introduces the Chisel|Fine Dual-Ended Art Marker which revolutionizes commercial art rendering. A consumer favorite to this day, it has maintained its iconic design and has continued to delight consumers with its wide range of colors! 1995 Newell BrandsPrismacolor is purchased by Newell Brands, and the brand continues to establish itself as high-quality, premium Fine Art brand. 2007 It's all in the detailsPrismacolor launches fine line Illustration Markers in 8 colors and 7 tip types, perfect for detailed work. 2011 Live in colorPrismacolor announces the release of 18 new colors for Premier Soft Core colored pencils, including some discontinued fan favorites, revived and refreshed. These additions to the Prismacolor Premier Colored Pencil family round out the color offering to 150 different colors. 2012 Brush it offPrismacolor launches the Brush|Fine Dual-Ended Art Marker in 152 colors, adding an extra dash of artistic freedom to the already brilliant line of art markers. The brand new brush tip is ideal for creating thick, thin, or varied lines with a single stroke. It is truly the ultimate tool for fashion, design, and hobby applications. 2013 75 Year Year CelebrationPrismacolor celebrates its 75th anniversary as a brand that is commited to feeding artist's passion and inspiration.Prismacolor also introduces 44 new marker colors for both Prismacolor Brush|Fine and Chisel|Fine Dual-Ended Art Markers. These markers are now available in 200 colors! These new inks are lighter versions of the most popular colors and are intended to complement the existing markers, allowing artists to blend even better – they are even named intuitively, like Crimson Red Light. This year marks the 29th anniversary of R&F Handmade Paints. What began as a painter’s solo endeavor has evolved into a multi-faceted paint company that is material-focused and artist-driven. R&F’s Founder Richard Frumess began making encaustic paint as a painter simply to support his own artistic practice and to ensure that ready-made encaustic was kept in production at a time when there were no commercial manufacturers. During the first year Richard produced encaustic paint as R&F Encaustics. While he struggled to start-up the business, asking pigment suppliers for double samples and also working a second job, the seed was firmly planted. This first year in business Richard sold a line of 39 colors including five “pearlescents” to art retailers in New York City as well as Denver, CO and internationally in Paris. Within R&F’s first year in business Richard was urged by friend, former coworker and fellow artist Carl Plansky, who later founded Williamsburg Oils, to develop a second complimentary product that also contained wax. The notion was to formulate an oil stick that was different from what was already on the market. Richard worked to create this new product that combined a small amount of natural wax so that the paint could be poured into a mold and would maintain a form, but would satisfy the artist’s desire for the same high-quality professional colors that traditional tube oil paints are known for in another format – the stick. What came out of this conversation were ably named Pigment Sticks. When Richard introduced Pigment Sticks to the market in 1990 they were available in 31 lipstick-soft colors. Over the years R&F has moved from that Brooklyn, NY basement to West Park, NY and later to Kingston, NY which has been our home since 1995. These moves were significant for many reasons. While our paint is at the core of our company it isn’t our only focus; we view our responsibility to our customer as paramount. As our paint production and commercial market grew steadily in the mid-1990s there was a greater need to provide both technical information and support to those artists working in encaustic. The initial aim of R&F workshops was to introduce artists to fundamental encaustic painting techniques. We wanted to demystify the process for the artist, while educating and providing the most up-to-date technical information. We offered our first workshops at the Women’s Studio Workshop in nearby Rosendale, NY. Over the following year we set-up a large studio facility and began scheduling workshops year-round. Cynthia Winika who started her career as an R&F paintmaker became the first principal instructor and remains today to be a vital wealth of knowledge and brings her one-of-a-kind perspective to every class. Those who took our first Comprehensive Encaustic Workshops are now among the most popular artists working in the medium today. Over the years, the reach of our workshops has expanded exponentially and course offerings are now available in a variety of formats and skill levels at various venues throughout the United States and at select international locations. With the Program’s growth and wider artist base, we are pleased to offer new and experimental workshops and collaborations every season. The other logical offshoot to R&F’s arsenal of artist and community driven support is our Gallery. The Gallery at R&F in Kingston promotes the various contemporary uses of oil paint and encaustic. R&F first established a small gallery space in 1995 when Richard moved the company into the Millard Building on Broadway in Kingston. This was the impetus for the Gallery’s bi-monthly rotating exhibition schedule (and also provided adequate space to establish our workshops). The Gallery began by featuring local artists working in encaustic and pigment stick in its inaugural exhibition “WaxWorks” in December of 1995. In 1998 the name of the company was changed to R&F Handmade Paints, inc. and that same year artist Laura Moriarty began managing and curating R&F exhibitions after her solo show Don’t Forget to Write. Highlights of our exhibitions include: Kevin Frank (2001), Don Maynard (2003), Give & Take: A group exhibition of artwork that uses symbolism to explore cultural traditions and assumptions. Featuring: Kim Bruce, Valerie Hammond, Judith Kindler and John Maul (2006), Encaustics 2000-2007: Rick Purdy (2007), Lorrie Fredette: A Pattern of Connections (2008), Paula Roland: Poetics of Pattern (2009), Charles Forsberg: She Sells Sanctuary (2010), Sean Sullivan: Lost on Roads (2010), BARBARA ELLMANN: FOREIGN AFFAIRS (2010), Nancy Graves Encaustic (2010), Hot off the Press: New Encaustic Printmaking (2012), Alexandre Masino: Geological Radiance (2012). In addition to our gallery, R&F promotes artists through numerous avenues including our featured artist online gallery, the Encaustic Works biennial which showcases growing trends in encaustic. This first Encaustic Works exhibition was juried by Stephen Heller, featured artwork from eighteen artists and was held in 1997. Subsequent exhibitions were juried or curated by artists Judy Pfaff, Mia Westerlund Roosen, Heather Hutchison and Joan Snyder and by curator Tracy Bashkoff. In 2011 we modified the biennial to an exhibition-in-print which was juried by Joanne Mattera. In her forward Laura wrote, “The landscape has changed dramatically over those fifteen years, as the popularity of encaustic has swelled.” Encaustic Works 2012 was published in June of 2012 and features twenty-nine artist portfolios. Today R&F calls 84 Ten Broeck Avenue in midtown Kingston home. In 2005 a decaying 19th century factory building was purchased and renovated to best suit the needs and personality of this growing company. Our story is one that finds a singular material at the nucleus of our company, but our commitment to you, the artist, is where we find our direction. We will continue to distinguish ourselves by producing the highest quality paint available, through evolving and expanding the course offerings of our workshop programming, by maintaining our Gallery presence and by providing you with the most current and complete technical support. Its historic origin is our invention of Cray-pas (oil pastel) as a new coloring material in 1925. Since then, we have been offering color products based on the needs of teachers and schools for development of education and culture till now. "Meliora cogito" - "I strive for the best"
At the Academy in Florence, Professor Cesare Mussini(never painting outside) still preserved old family recipes of finest natural resin-oil-colours. 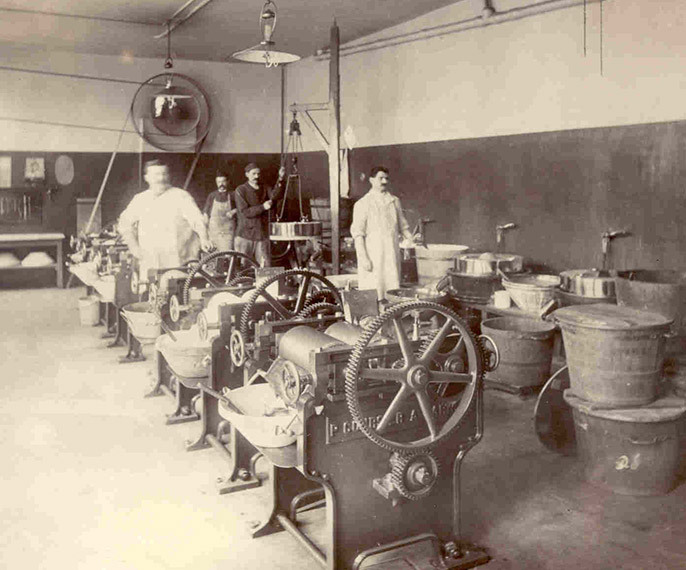 They became the initial and immediately successful exclusive program of the colour-manufacturing plant founded by the two chemist colour-men H. Schmincke and J. Horadam, while others continued to make the more simple oil-colours without resins as they became used to before the invention of tubes.lt took Josef Horadam 11 years after the founding of the Schmincke-factory in 1881 to research, develop and further improve "his" watercolour-line to top the watercolours, invented earlier in England. In 1892 he received his first Prussian patent for his "HORADAM Patent-Aquarellfarben", followed by patents in several other European countries like France and Hungaria.Still today MUSSINI® finest dammar-resin-oil-colours and HORADAM® AQUARELL, finest watercolours are the strongest and most renowned legs of the Schmincke program of finest artists' colours.Of course the whole program is permanently adapted and further improved benefiting especially from newer superb developments of the pigment research world-wide. Less costly but still finest "normal" small oil colour-assortments for the high-class teaching needs of various academy-professors were soon harmonised, rationalised, "normalised" into a relatively shorter but still "finest" Norma® oil-colour assortment (todays Norma® Professional finest oil-colour-line). Those Norma® Professional finest artists' oil colours, comparable to other first leading brands worldwide, allow Schmincke to directly compete with the other leading brands without the need to communicate with users as to the superiority of the most traditional dammar-resin-oil-colours MUSSINI®. 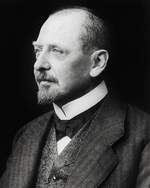 Around the turn of the century, under the leadership of the second owner-generation, the founders nephew Dr. Julius Hesse, finest soft pastels and a vast program of Gouache-colours for artists, designers and photo-retouchers were introduced. All became famous in their category.After war-related pauses, the third generation, Consul Ernst 0. Hesse, who remained actively engaged in Schmincke until his death in 1992, introduced finest artists' acrylic colours. Under the brand name PRIMAcryl® those modern artists colours, first invented in the USA, became an important addition to the assortment, especially in the German home-market. After moving to a newly built factory in 1974 and even more so after the 100 year Schmincke jubilee in 1981, global expansion-activities intensified, especially with the leading Schmincke brands MUSSINI®, NORMA® Professional, HORADAM® AQUARELL and soft pastels. In 1999 a short but most refined HORADAM® GOUACHE program is being added as well as specialities like Calligraphy-Gouache. The philosophy, goals, objectives and the Schmincke-strategy remain, however, co-carried by the owner-family and directed to a global market for top quality traditional artists' colours. In their home-markets Schmincke also offers a full range of additional bench-mark products for demanding artists. A side-goal was always and remains to supply not only top quality products but also equivalent customer-service. The Schmincke goal, to supply the very best artists' colours, is not only a pleasure for all who are involved, because a particularly beautiful program results, it is also commercially viable, because it secures a long-term niche in the global quality-market. This is considered more important than short term profit.The artists' satisfaction motivates us. Those who donate their valuable time to creative activities usually wish to use best possible material. We believe in the artists' desire for top quality material, we work to satisfy this desire in partnership with our qualified and specialised retailers. They keep our vast-program in their stock and give advice.Therefore we are faithful to our retailer-customers.Schmincke wants to contribute to a beautiful colourful world - with the best artists' colours.This complements our founding-forefathers motto: "MELIORA COGITO - I strive for the best". Polyform Products Company has been bringing Sculpey products from our home to yours for over 50 years. From humble beginnings more than 50 years ago to widespread popularity in the new millennium, Sculpey® oven-bake clays from Polyform Products Company have become one of the most desirable craft clays on the market today. An entire culture has sprouted around this amazing medium – web sites, newsgroups, conferences and retreats. As the market leader, we focus on creating new ways to stimulate and encourage creativity. Polyform Products continues to inspire a “world of bright ideas” with new and innovative products for beginners to advanced clay users. Our products can be categorized into three ranges:‧School and office supply, such as sign pens and permanent markers. Welcome to Snazaroo online, a world of colour, inspiration, and above all, fun. Everything you need to Paint a Smile is at your fingertips, from the best in face painting products to inspirational, simple and easy to follow step-by-step guides. It's no wonder Snazaroo is considered the "World's Favourite Face Paint" by many!Here at Snazaroo, we celebrate childhood and provide you with essentials for tapping into the joys of transformation and play. Spark your child's imagination with a whimsical face painting look, from swash-buckling pirate to fairy princess to anything you or your little one can dream up. Your children will love turning into the character of their choice with the help of our vibrant face paints.Start exploring the world of Snazaroo today! We are passionate about face painting and hold our products to the highest standards of quality and safety. It's this dedication to that makes Snazaroo the Number 1 choice of many parents, children, and professional face painters.Snazaroo face paints are fragrance-free and specially-formulated to be gentle on the skin. However, we recommend that before you start, you swipe a small test area on the inside of the arm or elbow. At Snazaroo, we believe in making products which are 100% safe. Rest assured that Snazaroo face paints are classified as not hazardous to health or environment.Snazaroo face paints are formulated to be paraben and fragrance-free and made of premium cosmetics ingredients. As a result, they are friendly to even the most delicate skin. All Snazaroo face paints are water-based, making them as easy to take off as they are a joy to put on! Simply remove with soap and warm water; there is no need for scrubbing or harsh removers.Please remember that due to the high pigment content some colours may stain. Looking for face painting inspiration? We provide a wide range of easy to follow step-by-step guides to spark your imagination. Simple, colourful, safe - get creative with our range of face paints today! Tianchang Shuangfeng Stationery Co., Ltd. is located in the cultural industrial park of Zhengji Town, Tianchang City, Dongdaemun City, Anhui Province. Founded in March 1998, it is a research and development, design, production, sales, service, and import and export trade. The comprehensive modern company now covers an area of ​​more than 180 acres, a building area of ​​over 60,000 square meters, and employs nearly 500 people. The main business categories are Shuangfeng Brand Art Painting Materials, Yuanmengyuan Brand Wood Furniture, Wood Crafts, Europe Imported Beech Wood Plates and other four series, more than 300 categories of products; at present, most of the products are exported, and the export countries include the United States, the European Union, Australia, Japan, South Korea and more than 50 countries and regions; in recent years also continue to open up the domestic market, currently has dealers and agents in all provinces, municipalities and autonomous regions, and in December 2013 opened Tmall Online Shopping Mall, In April 2016, the flagship store of Jingdong Shuangfeng Painting Materials was opened, which won the recognition of customers both at home and abroad for its excellent quality and good reputation. The company always adheres to: the spirit of love, respect, pragmatism and enterprising; the business philosophy of innovation, high efficiency, honesty, and mutual benefit; limited resources and unlimited company goals. It has passed IS09001 quality management system certification, IS014001 environmental management system certification, FSC International Forest System Certification and BSCI Social Responsibility Management System Review. He has been awarded “Top 100 Private Enterprises in Anhui Province” for many times in succession, Anhui Cultural Industry Demonstration Base, “Forestry Industrialization Leading Enterprise” in Anhui Province, “Advanced Enterprise for Outstanding Contribution to Forestry Industry Development” in Anhui Province, and “Class A Tax Payment for Anhui Province” "Credit Unit": "Shouzhou City," Shou contract, re-credit units "; Tianchang City," key enterprises "," civilized unit model "," safe enterprise "," advanced enterprise trade union ", advanced production safety units and many other honorary titles; 2016 In January of the same year, the “Shuangfeng” brand trademark was identified as “Anhui Famous Brand”. The company currently has multi-saws, four-sided planers, sanding machines, routers and routers, winding machine, wood processing center, microcomputer-controlled linear profile sanding machine, automatic wood optimization saw, automatic painting line and other modern wood processing production machinery and equipment We implement 6S on-site standardization management, keep pace with the times, continuously expand production scale according to the needs of market development, improve the assembly line, enrich product categories, and increase investment in design and development to meet the needs of different groups. Our brand has Going abroad, to the world, "Shuangfeng" will become a world-class painter. Founded in 1909 as a manufacturer of steel tape rules, TJM Design Corporation (formerly Tajima Tool Corporation) is Japan’s largest manufacturer of hand tools and owner of the Tajima brand of professional-grade tools, with global production facilities. A privately owned company, Tajima continues a tradition of excellence in the manufacturing of its tools. Excellence in design, in the selection of materials, and in the production and quality control processes. The result is a line of tools that offers exceptional features and function at a high level of quality rarely seen in today’s industry. Tajima tools are marketed worldwide via a network of distributors and professional sales representatives supported by a dedicated team of sales/marketing, inventory management and logistics personnel. Tajima Tool Corporation (USA), sponsor of this site, is a wholly owned subsidiary established in 2000 to support the North American market with a sales/marketing, warehouse, and freight forwarding operation based in Southern California. Winsor & Newton were granted its first Royal Warrant by Queen Victoria in 1841, and have received the endorsement ever since. Today Winsor & Newton remains by Appointment to HRH the Prince of Wales, and may display The Prince of Wales’s coat of arms. Known for his commitment to ecological issues, the Prince of Wales has additional criteria to qualify for his Warrant asking that companies meet a code of good environmental practice if they are to supply his Household. We are dedicated to making sure that our materials, manufacturing processes and the way we communicate with artists minimize our ecological impact. Beijing Haodetang Pen Industry Co., Ltd. is a professional manufacturer that produces Chaddo® brand brushes. Products are divided into six series, oil brush series, watercolor pen series, water chalk series, Chinese brush series, board brush series, makeup pen series. At the same time, we produce various textures and brushes for various grades for domestic and foreign sellers. Chadido® is a well-known brand with a good reputation in the domestic art supplies market. It is trusted and praised by professional painters, art lovers and college students. For many years, it has been the best-selling product on the Chinese market. Based on the guarantee of stable quality of old products, Chaddom® brand brushes continuously research and develop new products to meet the requirements of different consumer groups in the market.